Qualcomm has sent out press invites for the company’s annual tech summit on December 4 in Hawaii where the company is expected to announce the flagship Snapdragon 8150 SoC. We received the invite for Qualcomm’s launch event in Hawaii which came in the form of an Oculus VR headset with a VR video invitation. 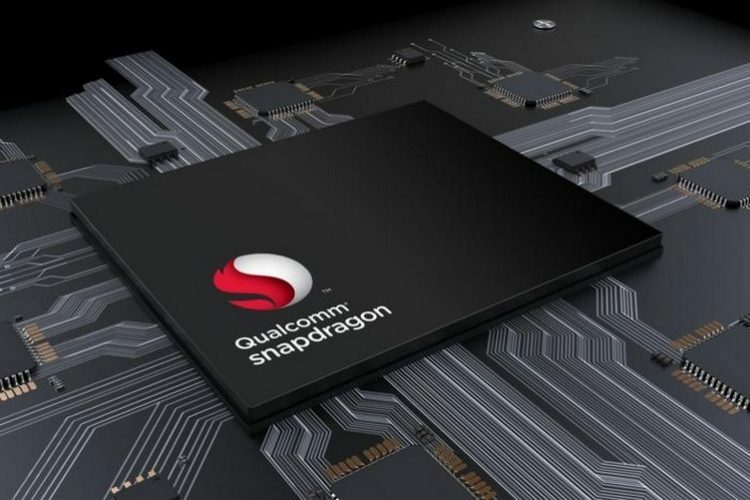 With the platform for Snapdragon 8150’s announcement already set, a new leak regarding the core architecture of Qualcomm’s upcoming flagship chipset has surfaced online. As per noted tipster @UniverseIce, the Snapdragon 8150 will be based on a tri-cluster design which features Kryo cores arranged in three different groups based on their power and performance. The leak suggests that the Snapdragon 8150 will feature a single high-power Kryo Gold Prime core clocked at a peak frequency of 2.842GHz that will have 512MB of L2 cache to handle intensive tasks. Then there is a cluster of three Kryo Gold cores clocked at 2.419GHz and a third cluster of four low-power Kryo Silver cores clocked at 1.786GHz. However, another report states that the core architecture of the upcoming chipset will consist of three clusters containing 2 high-power cores, 2 medium-power cores, and 4 low-power cores. The Snapdragon 8150 was recently spotted on an AI benchmarking platform where it blew away the competition with its impressive performance. Qualcomm’s upcoming SoC scored 22,082 points and surpassed the Snapdragon 845’s performance by nearly 2x margin. 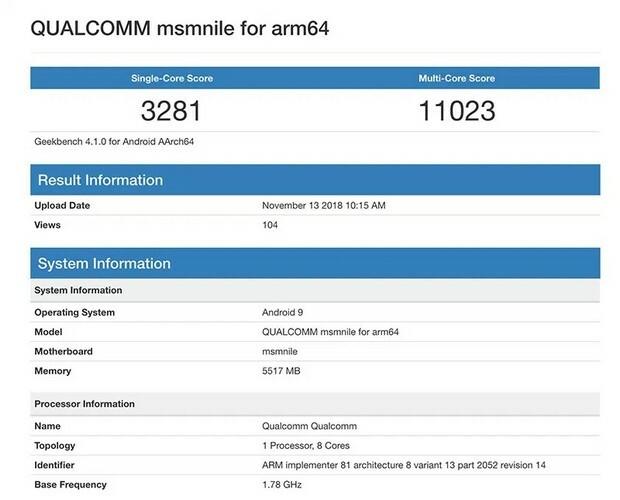 Earlier this month, an unannounced Qualcomm SoC alleged to be the Snapdragon 8150, was spotted on Geekbench as well as AnTuTu and posted an insanely high score which put it in the same league as Apple’s mighty A12 Bionic. 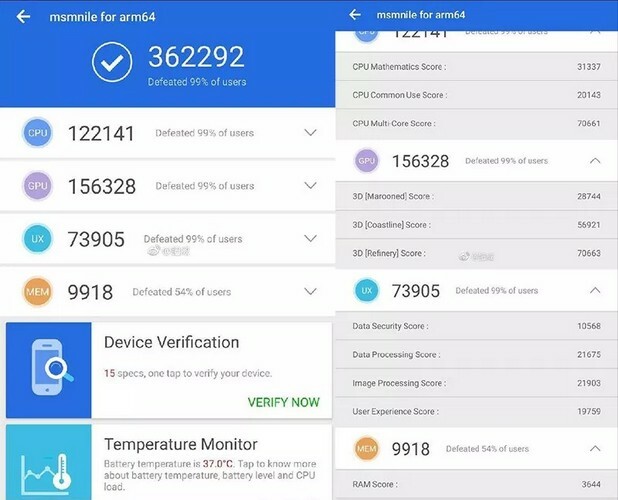 It scored 3281 points in single core and 11023 points in multi-core test on Geekbench, and also posted an impressive AnTuTu score of 362292 points. The Galaxy S10 and the Moto Z4 will reportedly have the new flagship chipset from Qualcomm and are expected to be unveiled early next year around Mobile World Congress 2019. Beebom will be at the Qualcomm Tech Day in Hawaii on December 4 for the big unveiling and you can stay tuned to find out more about the Snapdragon 8150, straight from the event.